The next Faith Matters Question Time will be 2 days before the General Election and address the important topic: 'The General Election: What's Religion got to with it?' On the panel will be: Lord Glasman of Stoke Newington and Stamford Hill, Dr Laura Keynes (journalist and author), Alex Macqueen (Actor from the 'The Thick of It') and Revd Lucy Winkett (Rector, St James', Piccadilly). There is a suggested £7 donation on the door. Booking is essential, please register here. In honour of Fr Philip Chester's twentieth anniversary at St Matthew's, a special parish lunch is being held after Mass. It would be lovely to see as many people as possible on this joyous occasion and there will undoubtedly be a good supply of hospitality on hand! The PCC meets in Trevelyan Hall at 6.30pm. Agenda and papers are available online in Church Council. As in previous years our neighbouring churches will be joining together for the celebration of the Feast of the Ascension. This year the service will be at St Stephen's, Rochester Row and will be followed by a party. Do note the date of this important feast. A training day for all those currently involved in, or curious about, prayer ministry within church. This day is organised by 'On Fire Mission' a network rooted in the Church of England that is dedicated to promoting charismatic renewal blended with the riches of Catholic spirituality. The day will cover such topics as the practicalities of prayer minstry, its biblical basis, and why Anglo-Catholics might get involved. There will be a collection on the day to cover the cost of a simple lunch and handouts. It is necessary to book a place on this course and this can be done either by phoning 020 8422 3775 or via email here. For the whole week leading up to Pentecost, the Chapel of St Michael and St George at St Paul's Cathedral will be used as an interactive prayer space by the Diocese, inviting all people from its 400 parishes and beyond to come to the Cathedral for what the Bishop of London describes as 'authentic prayer', around the theme of 'journeys' - whether that be our personal or faith journeys. You are welcome to come along at any time during the week or, if you prefer, to book a slot here. For further information, please email here. Just Festival On The Edge is a curated festival and aims to share accessible, high-quality art and culture as way to explore achievable social justice and action. It provides engaging ways for those of all identities, faiths, beliefs or none to share their culture and ideas while discussing the important issues of the day. 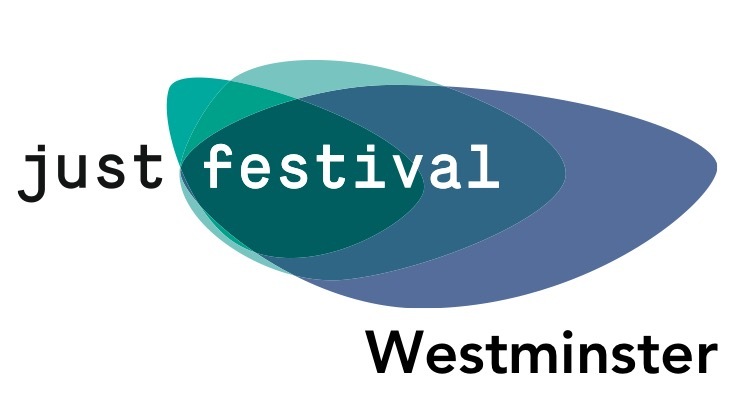 There are a wide range of diverse events happening during the festival so please click here to find out more. Discover hidden gems whilst developing your photography skills, including a visit to Photo London’s inaugural year at Somerset House, an eclectic photography fair exhibiting works from the world’s finest photographers. All levels are welcome, camera phones, digital or SLR. There are two times slots available for this walk, 12.30 - 1.15pm or 5.30pm – 7.00pm. This is a free event and can be booked here. The 30th Eric Symes Abbott Memorial Lecture will be given by the Reverend Lucy Winkett, Rector of St James’s Piccadilly. The lecture is free, and all are welcome, but prior booking is requested. For further details please click here. This will take the form of Informal Church and will commence at 5.15pm with cold buffet, followed by worship, reflection and response. This is an ecumenical service, and all are very welcome. The Admission of Churchwardens for the Diocese of London will be held at St Mary-le-Strand. You are warmly invited to this event to support our own churchwardens, Grace Hoskin and Simon Lello, and to stay for refreshments following the service. .
A study day on preaching organised jointly by the College of Preachers and Mount Street Jesuit Centre. Fr Ed Foley is Professor of Spirituality, Liturgy and Music at Catholic Theological Union of Chicago and an award winning author. There is a recommended £10 donation and please do bring a packed lunch. To book a place please email Fr Dominic Robinson, SJ. You are invited to an inspiring and uplifting evening that recreates the first London meeting of the famed 19th century American evangelists 'Moody and Sankey'. The Great Hall organ will be played by Andrew Furniss and the Director of Music at the Hall, Gerard Brooks, will be leading the singers and the hundreds attending in singing some of the mighty hymns from that time. This is a free event with no tickets and doors open from 5.45pm. For more information phone 020 7654 3809.